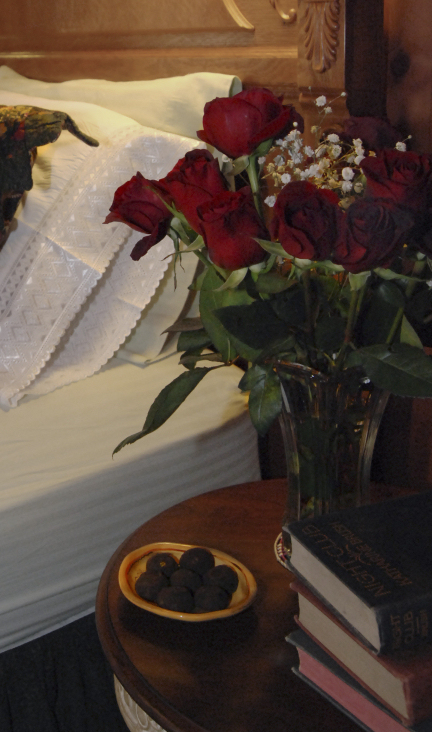 Plan a romantic getaway for Valentine’s Day and stay with us in our Bed and Breakfast Lodge over Valentines Day for at least 2 nights and receive complimentary chocolate truffles and roses. All Bed and Breakfast guests also enjoy our signature gourmet 3-course breakfast each morning as well. See our specials page at our website for more Rocky Mountain lodging specials.